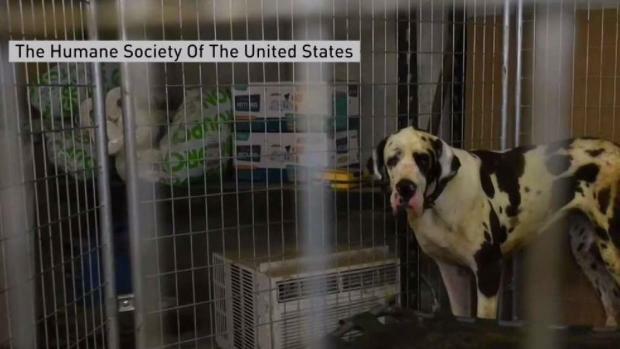 A woman who had dozens of filthy and sick Great Danes living in her New Hampshire mansion is facing a jury trial. Last year, a community court judge found 59-year-old Christina Fay guilty of multiple animal cruelty charges. He didn't sentence her to jail, but said she must pay nearly $800,000 for the care they received after authorities seized them. Fay said she took care of the dogs and appealed to a county superior court for a jury trial, which began Tuesday. Prosecutors dropped some of the old charges and filed new ones last week against Fay with references to specific dogs, saying they suffered various infections and were confined with little ventilation or water. Authorities took 84 dogs from Fay's Wolfeboro mansion last June.